UPDATE (March 28, 2017): The Trump administration has signed an executive order to dismantle, halt, or slow down many climate policies that have been years in the making, including the Clean Power Plan. As part of its justification, the administration cites this deficient fossil fuel-funded study as a reason for the CPP rollback—the same study whose flaws are pointed out below. This analysis hasn't gotten better with age. In fact, many of the things mentioned below are even more true now, and make the study an even shakier foundation on which to build responsible (or irresponsible) policy. Energy efficiency is at least as good a deal as it was then, our need for pollution reduction is just as great, and the costs of renewable energy (solar, for example) have become even more impressive. While the EPA projects new investments in energy efficiency under the Clean Power Plan will ultimately generate savings on electricity bills for consumers, a report by NERA Economic Consulting ignores energy efficiency’s proven ability to save consumers money and artificially inflates the costs of the EPA’s proposal. 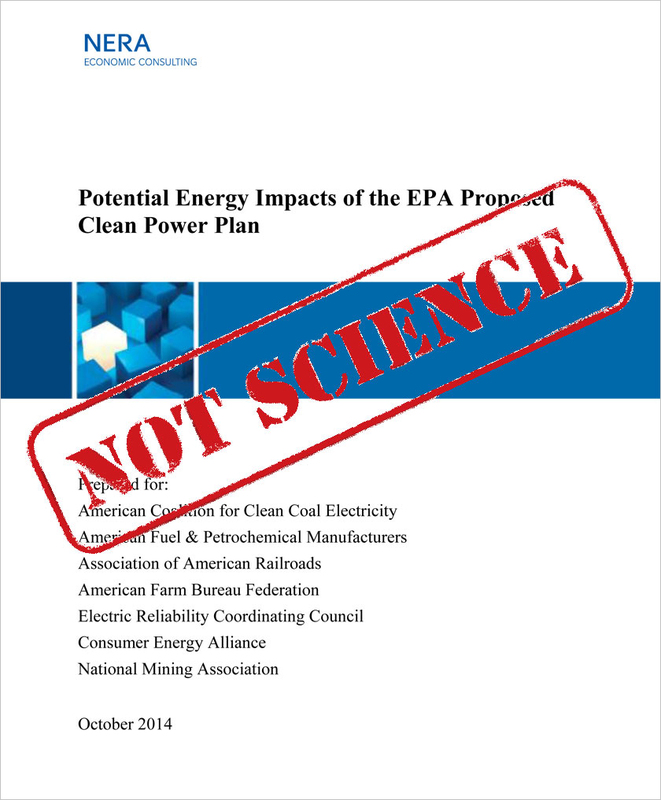 The NERA report also ignores the climate and health benefits of the EPA proposal. Several industry trade groups paid for the report, including the American Coalition for Clean Coal Electricity (ACCCE) and American Fuel & Petrochemical Manufacturers (AFPM). Members of ACCCE include utilities and coal companies that oppose the Clean Power Plan, including Murray Energy. The CEO of Murray Energy has described climate change as a “hoax” while attacking the EPA on Fox News. AFPM's board of directors includes some of the largest producers of industrial carbon emissions, such as Chevron and ExxonMobil, as well as subsidiaries of BP and Shell. While these oil companies now generally accept the science on climate change, AFPM has suggested that the EPA is obligated to consider claims “rejecting the existence and causes of climate change” and joined other industry trade groups in calling for rollback of the Clean Power Plan. Learn how the fossil fuel industry spreads disinformation about global warming and renewable energy.